RICE LAKE, WI (June 28) - Looking at the weather radar all afternoon, it was more of a question of when, not if, the rains would hit Rice Lake Speedway Saturday. 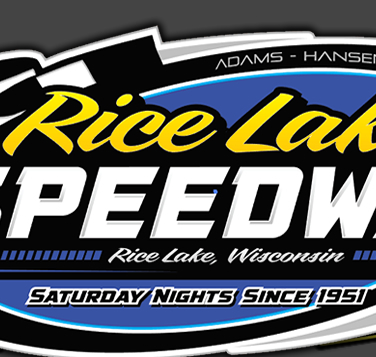 However, with a quick running program and everyone hustling things along, Rice Lake Speedway was able to get three of their five main events completed before the deluge hit and C.J. Wagner, Ryan Viltz and Eric Olson took home feature wins before the rest of the program was postponed with the Super Stock and Modified features to be made up next month. All three drivers earned their first feature wins of the year at the track and all three wins were tough, hard fought contests. Mike Grover started on the pole of the Pure Stock feature and led the first round with a scramble on the second lap causing the running order to be jumbled even though the yellow flag was not displayed. Six time winner Jason Havel was on a charge as he came from the fourth row to quickly move into contention. With a strong move on the high side, Havel swept into the lead on the third lap and the race appeared to be over. However, Wagner stayed close to Havel and at one point nearly got by him coming off turn two. The lone yellow of the event flew at the halfway point and bunched the field. On the green Wagner shocked the crowd and perhaps even himself and he powered past Havel and took over the lead. Jason would run close behind Wagner in an attempt to get the top spot back but he wasn’t up to the challenge. Havel’s motor seemed to sound off pitch and he appeared to be lacking power as he could stay near Wagner but not truly challenge him. As the laps ran down, Wagner stayed in charge, never gave Havel an opportunity to retake the lead and took his first win of the year , at the same time stopping Havel’s five race winning streak. A good battle for third saw Joel Hinrichs come up from the fourth row to edge John Erickson for the spot with Hunter Van Gilder coming from the tail of the field to complete the top five. Following a pattern established during the last couple of weeks, the Midwest Modified feature got off to a shaky start with three yellow flags in the first five laps before everyone settled down. The first yellow was the most damaging as an opening lap spin by pole sitter Mike Schnider triggered a multi car pileup with contenders Tito Viltz and Grant Southworth eliminated before the race had hardly started. On the green, Ryan Viltz found an opening and quickly shot into the lead with Nick Koehler and Shane Halopka battling for second. They traded the spot back and forth several times before Koehler established the position as his. Two more yellows slowed the action but each time Viltz would pull away on the green, leaving Koehler and Halopka to battle behind him. On the move was Darrel Hazelton who started eleventh guest driving in the class for the first time this year. He found his car to be working well in the higher lane and he drove around several cars and closed on the contenders. He had a spirited duel with Halopka for third before securing the position. The last ten laps ran nonstop and Viltz was just cruising up front and was never pressured as he took his initial Rice Lake win of the year. Koehler finished a solid second with Hazelton sparkling in a third place finish ahead of Halopka and Travis Anderson. Olson was spectacular as he topped another strong field of Street Stocks for his first win in the division this year. Troy Chaplin, seeking his first win, led the opening laps and was fighting tough to keep the top spot. Early he was pressured by Simon Wahlstrom who almost got by him as Adam Soltis and Scott Clark looked to challenge. Olson started seventh on the grid and was able to find an opening on the low side that shot him into contention. The front pack consisted of about six cars as Adam Soltis, Sam Fankhauser and Ron Hanestad along with Cody Kummer were slicing and dicing with a number of changes in position on every turn of the track. Olson continued his charge as he moved into second and then challenged Chaplin for the lead. Eric continued to put the pressure on and he was able to duck inside Chaplin and take over the lead. Once in front, he put distance on the field in a manner not seen very often at the track this year while behind him, the rotating of positions continued. Clark finally secured second but he had nothing in the way of a challenge and settled for that spot. Fankhauser came from the fifth row to take fourth at the end behind Soltis while Kirk Bogdanovic came out of no where at the end, stealing the fifth spot at the line after starting thirteenth. Just as this race was completed, the winds suddenly picked up and within seconds, the skies opened up, sending down a torrent of rain that quickly made the track too wet to race on and thus ended the program. 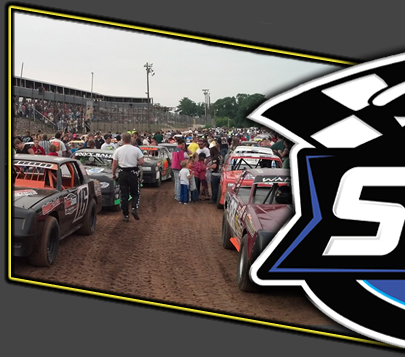 The Super Stocks and Modifieds will have feature races to make up and at last word, those events are planned to be added to the race program on July 19. Next up at the speedway will be the annual Firecracker special, featuring all five classes in a full program of racing along with one of the best fireworks displays in the area. This event will be held on Thursday, July 3 with hot laps slated for 6:30 p.m. The rain date for this show is Saturday, July 5. However, if the race program on July 3 is completed as scheduled, there will be no racing at the track on July 5. On July 12, sprint fans get a treat with the annual appearance of the Interstates Racing Association (IRA) winged, outlaw 410 cubic inch fire breathing sprints with former Barron County resident Billy Balog currently leading the series points. A full program of Super Stocks, Midwest Modifieds, Street Stocks and Pure Stocks will also be held with the Modifieds having the night off. Then, on July 19, the regular five class program of racing will resume with the two makeup feature races from Saturday added to the card. 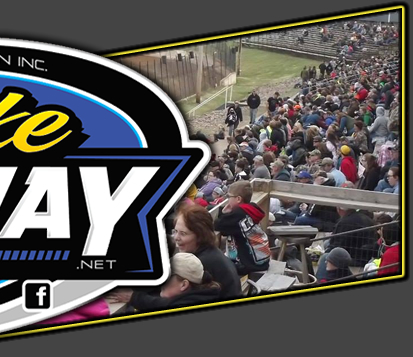 Race fans should monitor the speedway website at www.ricelakespeedway.net for the latest racing news concerning the track.